Best Home Furnishings sofas and loveseats add instant comfort to any room. Our stationary sofas, reclining sofas, and sleeper sofas come in a wide assortment of styles, finishes, fabrics and leathers - from traditional to contemporary. Hand-assembled with hardwood frames, high quality foams and premium cushioning fibers, your Best Home Furnishings sofa will last through years of lazy nights and guest-filled weekends. The Annabel Series is truly a custom seating program. The choice to create the sofa, loveseat or chair that you want from all the different options available, in addition to the 700+ fabric choices, makes the possibilities seem endless! All sofas, loveseats and chairs in the Annabel Series feature semi-attached backs and coil spring cushions wrapped in a plush high-resiliency fiber overlay. 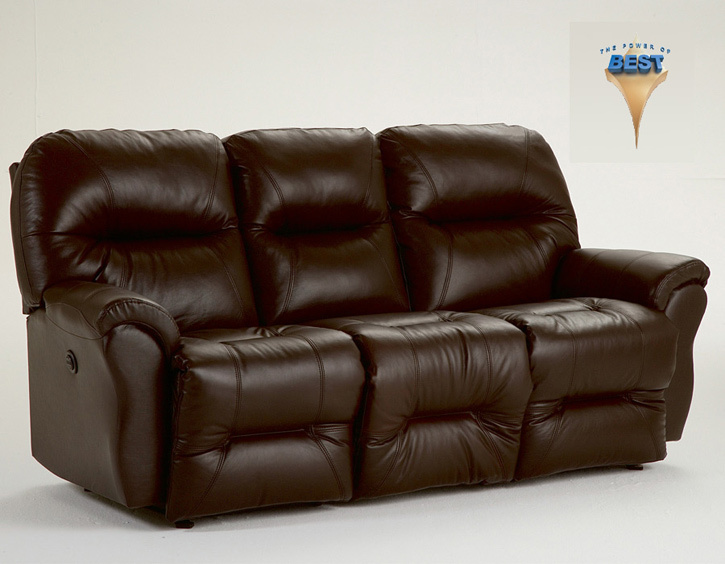 This Power Reclining Sofa set from BEST Home Furnishings, is the perfect representation of class and comfort, with plush pillow arms, and smooth lines, and detailed stitching. This Power Reclining Sofa features multiple reclining options to ensure that your leisure is made a priority and that every moment spent in this sofa is pure joy. 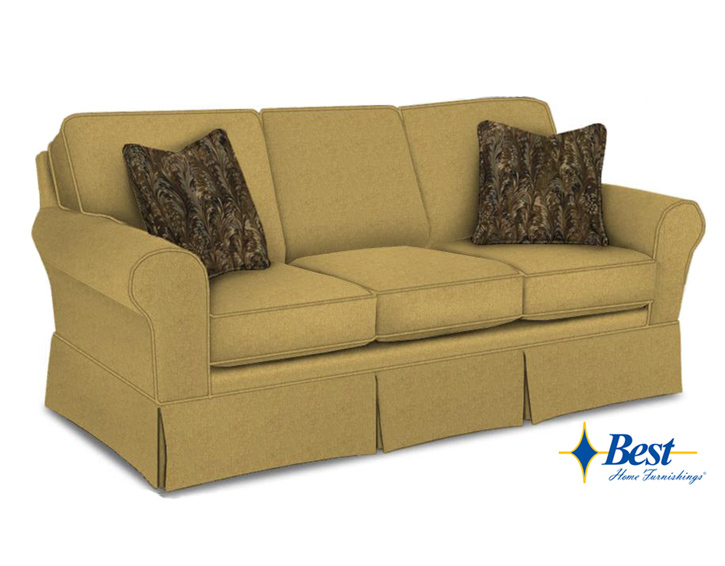 Pair this Sofa with the coordinating reclining loveseat and or the matching recliner to extend the relaxation in your home. 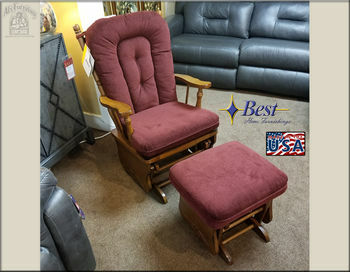 Al’s has the Bodie Power Sofa and the Power Recliner in both Chocolate or a “must see” Burgundy leather. All can be ordered in hundreds of fantastic fabrics to match any of your design tastes. All Power sofas are available in a Non-Power version. (But why would you?). 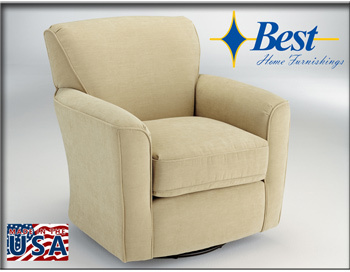 The Bosley Collection from Best Home Furnishings provides high-style and comfort. The four-button push pad, which operates the reclining motion as well as the power tilt headrest and features a USB charger, provides you full control of your body’s most restful position. The Bosley Collection is made with Performa-Weave, an innovative seat cushion material exclusive to Best Home Furnishings made from a breathable matrix of synthetic fibers. 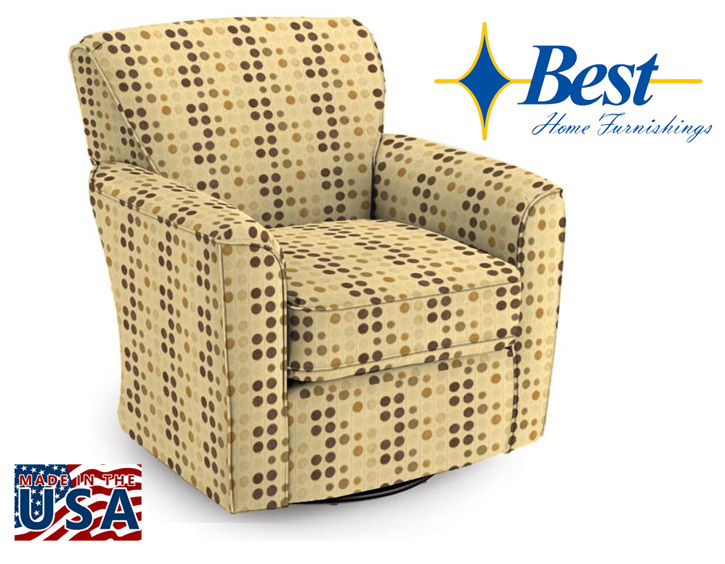 Performa-Weave keeps your recliner cool and comfortable from seat to feet and a more durable seating experience. On the matching loveseat, choose a Space Saver mechanism for a full recline in close proximity to the wall, or a smooth rocking motion for relaxation when the footrest is closed. You can even choose to have a storage console in the loveseat. 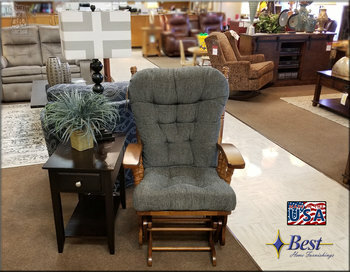 Built in Best’s southern Indiana facilities, and available in over 700 fabrics and 40+ top grain leathers, this reclining collection is truly built for you by experienced craftsman in the USA. 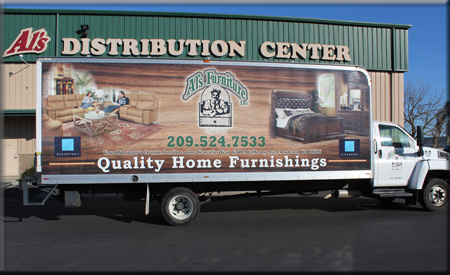 Come out to Al’s Furniture and see our large selection of quality American made furniture. For comfortable and casual group seating the whole family will enjoy, try the Brinley Collection. This power reclining sofa, power reclining loveseat and power recliner are generously padded at every angle. This set features plump backs, pillow arms, and pad-over-chaise seats for head-to-toe comfort you just can’t get anywhere else. In combination with easy-to-use recline mechanisms throughout, this set, is comfortable, and convenient. Accented with a storage console and cup holders, this piece is perfect for movie nights accompanied by food and drink. 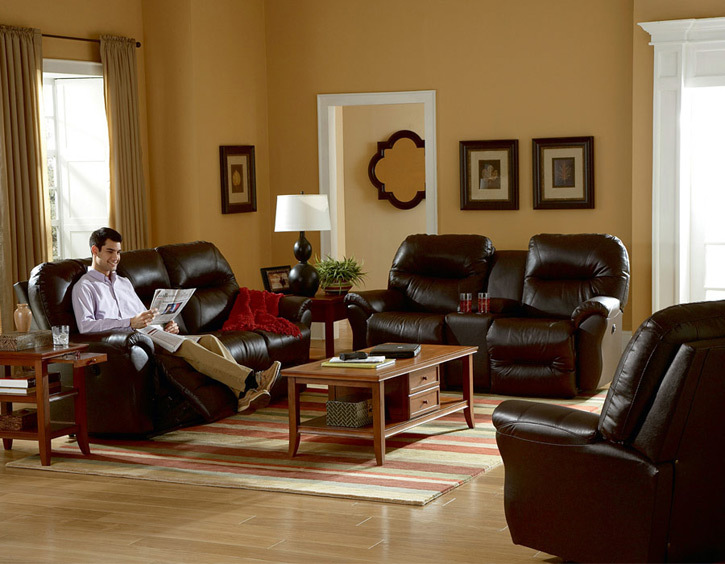 This reclining power set will be cherished for years to come as a favorite spot to lounge with family and friends. 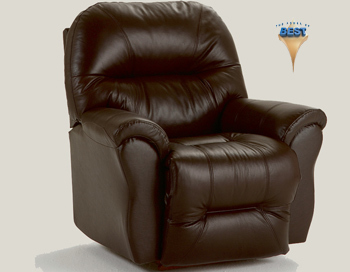 The Brinley group is available in manual and power recline options. Relax in style with this three cushion motion sofa. With subtle hints of traditional styling, The Maddox Sofa Collection features pillow top arms. Bucket seats and pleated back cushions are added for comfort. With the power recline feature, just a touch of a button and you are reclining in bliss, in the perfect position to be comfortable for hours. Best of all, when it’s time to get up, press the button, and you are ready to roll! Also, the Maddox collection features a Power Console Loveseat, with all the same features as the sofa, with additional storage and handy cup holders for your favorite beverage, to sip while you watch TV in comfort. We have this collection in stock in Power in Deep Brown leather or it is also available to order in Mushroom leather, Burgundy leather, or in hundreds of great fabrics. This collection can be ordered in non-power. But why would you?? When it comes to relaxation, the Rynne reclining collection from Best Home Furnishings is loaded with the best features! Not only does this reclining sofa, loveseat and recliner feature the innovative Performa-Weave seating system, for a cooler, more comfortable reclining experience, but at the simple press of a button, you can customize your comfort level from head to toe. With all these features comes an easy-to-use, ergonomical hand wand. Program the hand wand for two different memory settings, and hold down the "home" button to return all the way to the closed position. At the end of the hand wand comes a USB port! Our USB chargers have been extensively tested to charge your mobile devices all while watching a movie, playing games or enjoying your favorite apps. Take relaxation to the next level, by choosing the power tilt headrest function. Ideal for watching television or reading a book in the full reclined position, this feature adjusts your head for superior comfort and support where you need it the most. Best takes relaxation to the head of the class. With the ergonomical hand wand, you can adjust the support of your lower back to where you need it most with power lumbar support. If power isn’t your thing, but you love the style, you can still choose the recliner without power. 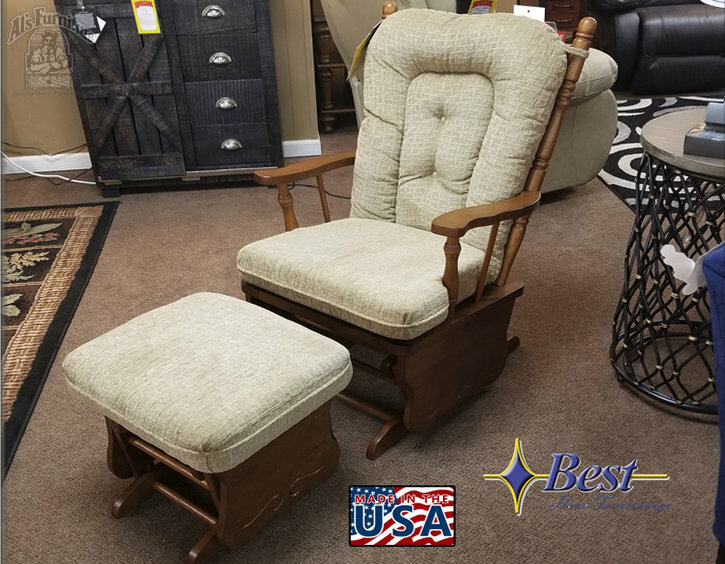 Choose from a variety of base options that include Space Saver, Rocker, Swivel Rocker and Swivel Glider. This set is available in hundreds of different fabrics for you to choose from. Not available in Leather. Best of all this collection is built in the USA! 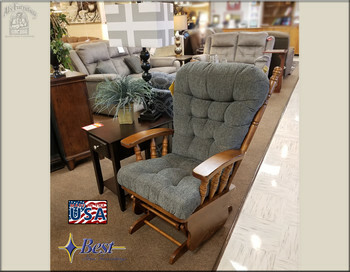 Swing on by Al’s Furniture and check out our great selection of quality American Made Furniture. Enjoy the comfort and beauty of the new Shelby sectional by Best Home Furnishings. When it comes to the Shelby reclining sectional, the comfort level is HUGE. With a seat width of 30"-32" there is room for you, your pet, your child or even cuddling with your significant other. Add the right amount of pieces to your configuration to maximize seating, and you’ll be hosting movie night every week. If Power is your thing, then you’ll be pleasantly surprised with the Power Tilt Headrest! It is great for supporting your head and neck while watching a movie or reading and, at the touch of a button you can effortlessly move it to any position. With a built-in USB charging station (on the power option) you’ll never have to worry about getting up again to charge your phone or tablet. Best’s innovative Performa-Weave is added to the seat lounge for a durable, yet cooling effect. Come see the American made quality, and comfort, of the Shelby. It will look great in your home for many years to come. Stop by Al’s today to see the Millport collection. Comfort takes an elegant turn when the relaxing gliding motion is combined with soft, subtle curves and the highest quality cushioning system. The coordinating glider ottomans are available also, so you can put your feet up and relax in style. High quality bearings and a precision engineered frame create the longest, smoothest glide available. Give your living room a stylish and comfortable accent piece with the “Kaylee” charming swivel glider chair. 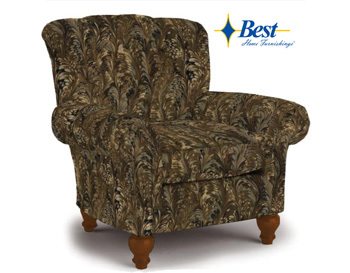 Its upholstered track arms and distinct, tapered seat back, give it an elegant look without sacrificing comfort. 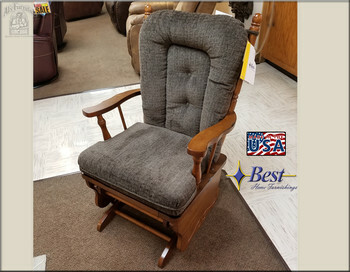 A hardwood frame and steel base ensure its durability, while its plush seat cushion and back ensure your comfort. With hundreds of fabric options and an optional swivel or swivel glide base, you can easily customize this chair to fit in with any room in your home.